An enjoyable day hike or overnight trip to one of the largest arches in the world. Typical Zion scenery without the crowds. From the Hop Valley Trailhead the trail sets out on the Kolob Terrace through sage brush habitat. Zion National Park is in many ways a geographic crossroads and the beginning portion of the trail serves as evidence of that. To the North and East lies the canyons of Zion and Southern Utah. To the West lies the mountain ranges and basins of the Great Basin. AT 1.3 miles you come to a cattle fence and the boundary for private property. For the next 2.5 miles the trail travels through a checkerboard of lands owned by the National Park Service and private owners. Please be respectful of the land to ensure continued access for hikers through these inholdings. The vegetation instantly changes on the other side of the cattle fence, you can tell that grazing and maintenance occurs in this area. Before too long the trail starts a descent into Hop Valley. You will start to notice scenery more typical of Zion, with sandstone cliffs towering above you and a gentle stream winding through the bottom of the valley. I found this portion of the hike to be quite idyllic. However, there were no cows in Hop Valley when I was there. The trail continues generally Northwest through Hop Valley, crossing the creek a countless number of times. Some of these crossings can take a minute or two to navigate if you want to stay dry. Cottonwood trees, grassy fields, and a gurgling stream made this portion of the hike quite enjoyable despite my initial skepticism when I learned Hop Valley was largely composed of private land inholdings. The National Park Service does not recommend drinking water from Hop Valley due to cattle in the area. About 2.5 miles from the fence designating the private land checkerboard you will cross the creek and ascend slightly into a Ponderosa Pine forest. There is a gate marking the end of grazing and start of NPS land. From here the trail goes past 3 dry camp sites in the Ponderosa Forest. Immediately after passing the third campsite the trail crosses the stream in Hop Valley for the final time and begins a steady ascent to a saddle dividing Hop Valley from the La Verkin Creek drainage below. Once past the saddle the trail descends fairly steeply into the La Verkin Creek drainage and the trail junction with the La Verkin Creek Trail. 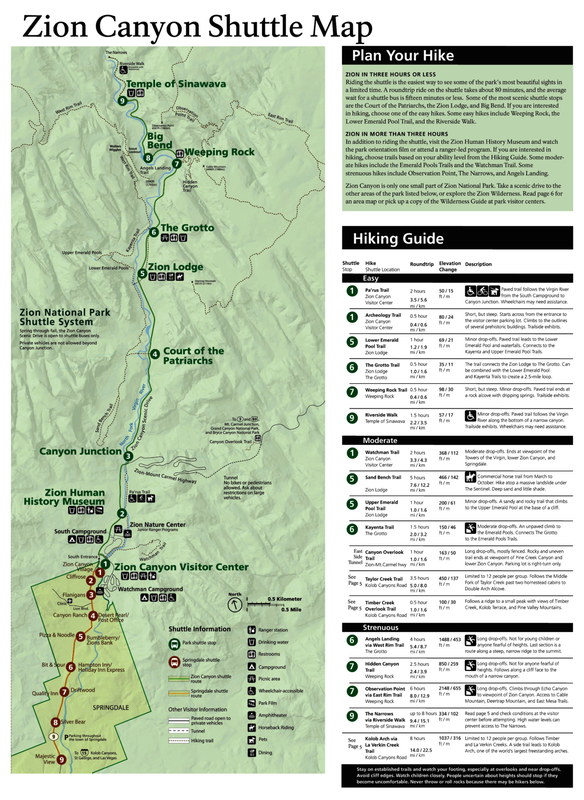 There are camp sites (permit required) in both directions along the La Verkin Creek Trail. To reach Kolob Arch, turn left on the La Verkin Creek trail. The trail crosses over to the north side of the creek and then generally follows the creek to the Kolob Arch junction. Kolob Arch is about 0.5 miles up this drainage. I found this last section of the trail to be very scenic. A slow moving creek flowing of slickrock was a highlight, and you are liking to hear Canyon Treefrogs during the right time of year. You will reach a confluence of two small streams (may be seasonal) and the arch is just above this confluence. Kolob Arch itself is high above you on the Canyon wall. Don't expect to be right underneath it. An NPS sign indicates that further travel is not recommended and you can see the arch high above you. It blends in with the sandstone immediately behind it, so photographing it can be tricky. The arch was cool, but the journey itself really stood out in my book. The trailhead is located along the Kolob Terrace Road in Zion National Park. From Springdale or the Zion Canyon Visitor Center travel west on Route 9 until you reach the junction for Kolob Reservoir and Kolob Terrace in the town of Virgin. Turn right on Kolob Terrace Road. 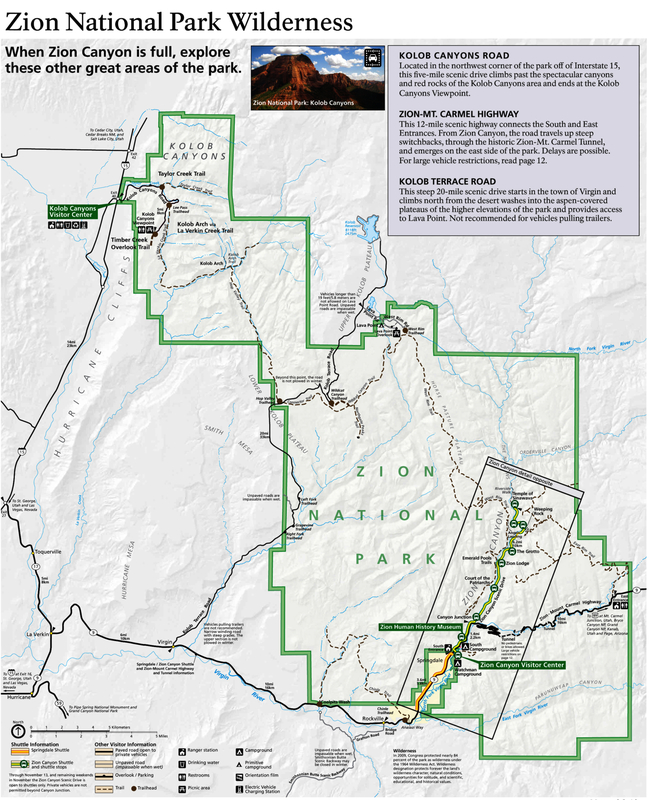 The trailhead for Hop Valley is 12.6 miles up Kolob Terrace road, just after the road enters Zion National Park for the second time.